Who doesn’t love taking a sneak peak into someone else’s home? And when it is as cute as Christine Fullers from Cottage by the Coast it’s well worth a look. 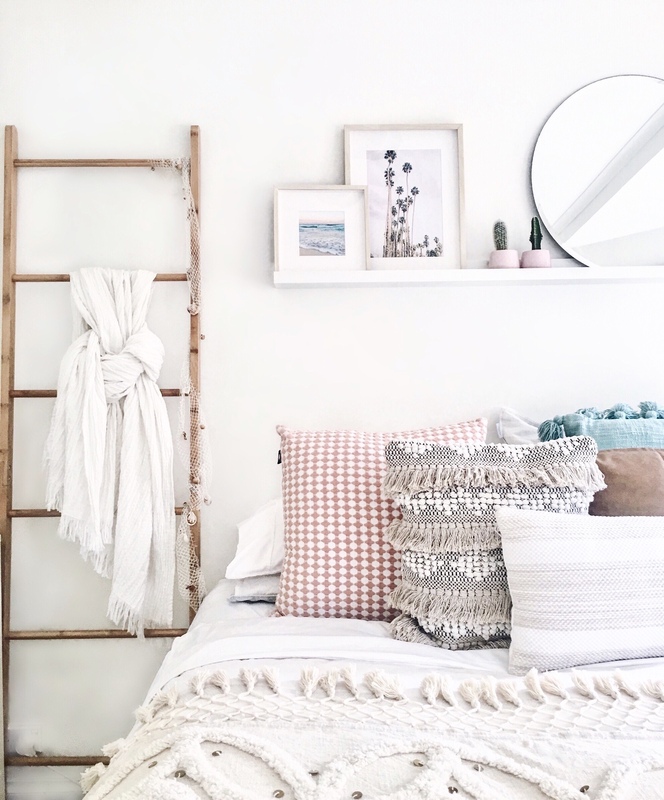 Laid back beachy vibes mixed with boho chic, her pad gives us some serious Aussie coastal life envy. This week we chat to her about her inspiration, her love of carbs and how she would spend a perfect day. I’d never been outside of Australia until I was 20, but in the last six years since then I have been fortunate enough to visit 20 countries and counting! Being of Irish heritage and an Irish dancer since the age of four, it was an incredibly special moment for me to visit Ireland a few years ago where I lived briefly, training and competing on weekends around the beautiful country. I will never say no to a beach destination and Cancun comes out of top! I fell in love with the culture and history that Mexico offered and hope to go back there one day soon. There are so many incredible places in the world but I think the prize for my favourite travel destination must be NYC. Christmas in New York was a bucket list moment we ticked off and it was beyond our expectations! I am still getting the hang of this whole ‘cooking’ thing, but I can whip up some mean roast potatoes and pasta. My partner calls me the ‘Carb Queen’ because my specialties involve alllll the carbs! I blame my obsession on the fact I grew up in an Irish household. My pasta dishes involve raiding the fridge for any delicious vegetables I can find. My go-to ingredients are pumpkin, mushrooms, capsicum, feta and spinach with a delicious Napoli sauce. Don’t forget the garlic bread! What ca’t you live without in the garden? A puppy! Ryan if you’re reading this I’ll have a cocker spaniel named Lilo, thank you! No but honestly, I’m quite simple when it comes to the garden. My ideal garden needs some grass for a game of bocce, a deck area with a table and chairs and a BBQ for summer. We are currently trying to grow some hedging along the back fence, so hopefully its looking the goods for when the warmer weather hits and we can entertain! I am inspired by everyday people who have a passion and a dream, and when combined with motivation they make their dream a reality. For me, there is nothing more moving than someone overcoming an obstacle, no matter how big or small and achieving an outcome that is a reflection of their hard work. Being humble in success and gracious in defeat is a characteristic that I admire along with compassion and kindness. For me, I find seeking inspiration in all areas of life is what keeps me ambitious and goal-driven. My perfect day would be waking up to the sun shining. I’ll have avocado and egg on some sourdough bread with a peppermint tea, then I’ll either go on a bike ride or a hike with my partner Ryan. The day would finish with my favourite people at our local beach eating fish and chips. To see more of Christine’s beautiful interiors and home visit her Instagram page here. Want more interviews? Click here for our chat with photographer Jessica Biggs and here for our interview with Gierdre Barauskiene (she also shares a delicious cake recipe with us!). Great interior! Looks easy on the eye and very cosy.